The new owner of Saab said it is looking for a solution "as soon as possible" to the current block on its right to use of the Saab name and badge. National Electric Vehicle Sweden (NEVS), a Chinese Japanese investment group, bought the Swedish automaker from administrators earlier this month after Saab was forced into bankruptcy late last year though financial problems. 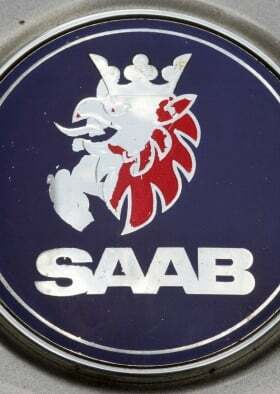 The sale did not include permission to use the Saab name and logo. This can only be granted by defense company Saab AB and truck maker Scania, both of which use the same griffin logo seen on Saab passenger cars. Scania said the agreement went back to 1990 when General Motors Co. bought 50 percent of the passenger-car division of the single company that included Saab AB, Saab Autos and Scania. "Every use of the trademark had to be discussed," Scania spokesman Hans-Ake Danielsson told Automotive News Europe. "NEVS can't get hold of the Saab name until we've approved it. That is under discussion right now." He added: "We have to protect our good name and brand. We have to be sure the new owner will not jeopardize that name." NEVS plans to build an electric version of the Saab 9-3 at the Saab's factpry in Trollhaettan in Sweden for launch late 2013 or early 2014. "The electric 9-3 is the first and major thing that will occur," Ostlund said. NEVS is 51 percent owned by National Modern Energy Holdings Ltd, a Hong Kong-based company controlled by Swedish-Chinese alternative fuels entrepreneur Kai Johan Jiang. The remaining 49 percent is held by Japanese company Sun Investment. Saab filed for bankruptcy in December last year. After buying Saab Autos outright in 2000, GM sold the company in February 2010 to the Dutch sports-car maker Spyker.